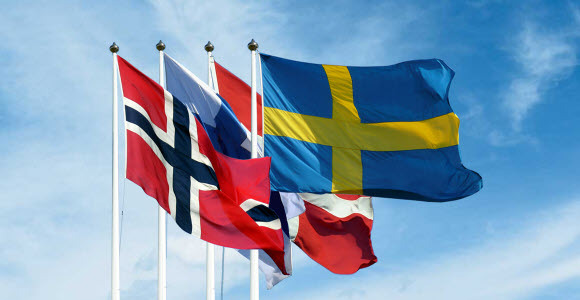 A group of major Swedish, Danish, Norwegian and Finnish banks is currently exploring the possibility of establishing a pan-Nordic payment infrastructure supplemented by common products. The vision is to create, within the Nordics, the worlds' first area for domestic and cross-border payments in multiple currencies (SEK, DKK, NOK and EUR). Based on open access and common European standards, the infrastructure will contribute to increased competition among payment service providers in the Nordics. Besides increased integration, a harmonized Nordic payment infrastructure will create a better foundation for innovation and encourage the development of new products and services to the benefit of all end-users. This will in turn enable the Nordics to maintain their position as some of the worlds' most digital societies. It will also be in line with present-day requirements for payment infrastructures as financial utilities, where scale, security, speed and efficiency have become key. The initiative shares the objectives of current domestic infrastructure projects in Norway and Sweden, but aims at achieving them on a Nordic scale. Consultations with relevant stakeholders will take place as appropriate. The banks behind the initiative are Danske Bank, DNB, Handelsbanken, Nordea, OP Financial Group, SEB and Swedbank. SEB is a leading Nordic financial services group with a strong belief that entrepreneurial minds and innovative companies are key in creating a better world. SEB takes a long-term perspective and supports its customers in good times and bad. In Sweden and the Baltic countries, SEB offers financial advice and a wide range of financial services. In Denmark, Finland, Norway, Germany and UK the bank's operations have a strong focus on corporate and investment banking based on a full-service offering to corporate and institutional clients. The international nature of SEB's business is reflected in its presence in some 20 countries worldwide. On December 31, 2017, the Group's total assets amounted to SEK 2,560 billion while its assets under management totalled SEK 1,830 billion. The Group has around 15,000 employees. Read more about SEB at http://www.sebgroup.com.